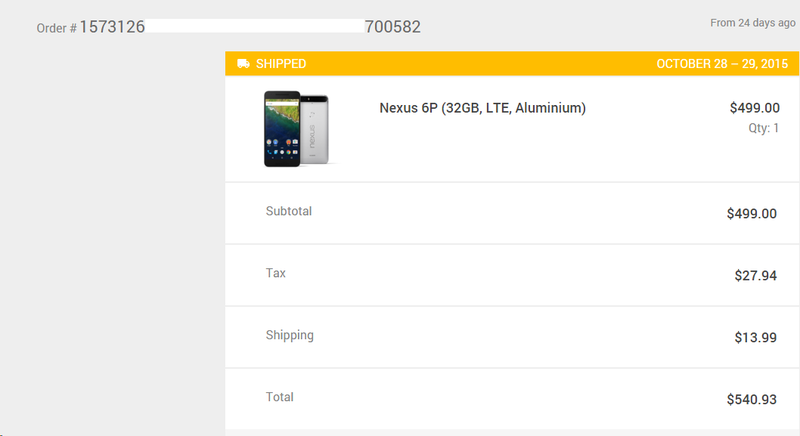 Now would be a good time to check your Nexus 6P order status if you've been waiting on Google to ship you one. We're seeing multiple reports of Nexus 6Ps shipping out from Google with delivery dates estimated in the next week or two. Some Nexus 6P orders started charging last night, indicating shipping was imminent, and here we are. The arrival date will, of course, depend on what sort of shipping you selected, but the dates we're seeing seem to vary widely. Some orders have estimated arrival dates next week and others not until the week after. This comes a week after the Nexus 5X started making its way out to those who pre-ordered. 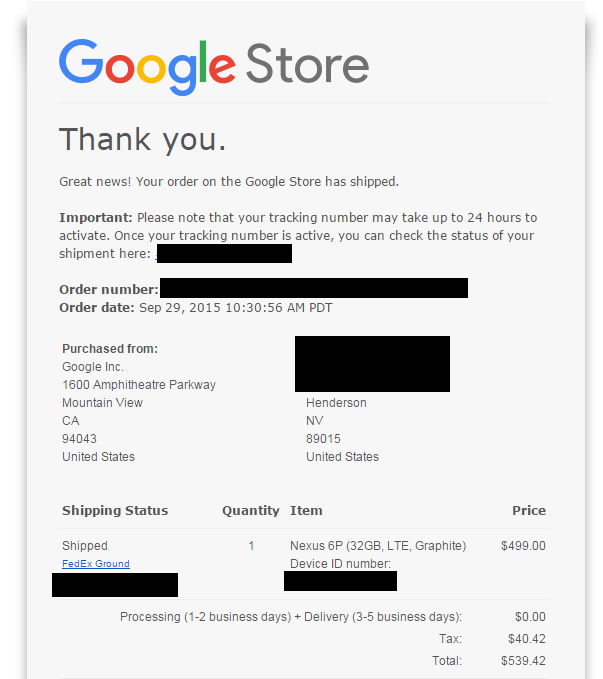 The Nexus 5X is still available in the Google Store with shipping in 1-2 days. The 6P is in short supply, so Google has the waitlist button up.